JEANS FOR GENES DAY 2018 WITH SIMPLY BE - Sugar, Darling? Did you know that one in 25 children is affected by a genetic disorder? In fact there are around 30,000 babies and children newly diagnosed with a genetic disorder each year in the UK alone. I must admit that I was shocked by those numbers and by the fact that there are 6000 different genetic disorders some of which are apparent at birth but others that don't become apparent until later in childhood or even into adolescence. With so many variations of disorder and so many different symptoms which often worsen or increase over time the importance of assistance and support to the sufferers and their families is crucial be it in the form of nursing, specialist equipment, learning assistance and even short breaks for young carers who look after their older parents and often stand a 50% chance of inheriting the same disorder. Jeans for Genes Day 2018 is coming up this Friday the 21st of September and it couldn't be easier to help raise money whether that be at school or in your workplace. Head over to the website to find out more about how you can get involved - it can be as simple as wearing denim to work for the day and collecting donations! As a plus size babe with specific requirements when it comes to clothing my bottom half finding jeans that fit can be a right minefield. 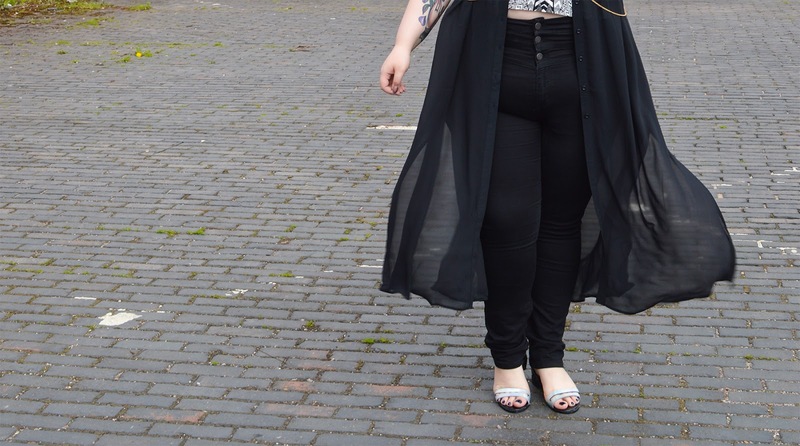 My shape is very much big bum and tum, big thighs, chubby calves but with thinner ankles and a pretty defined waist - this is not an ideal jeans body let me tell you. 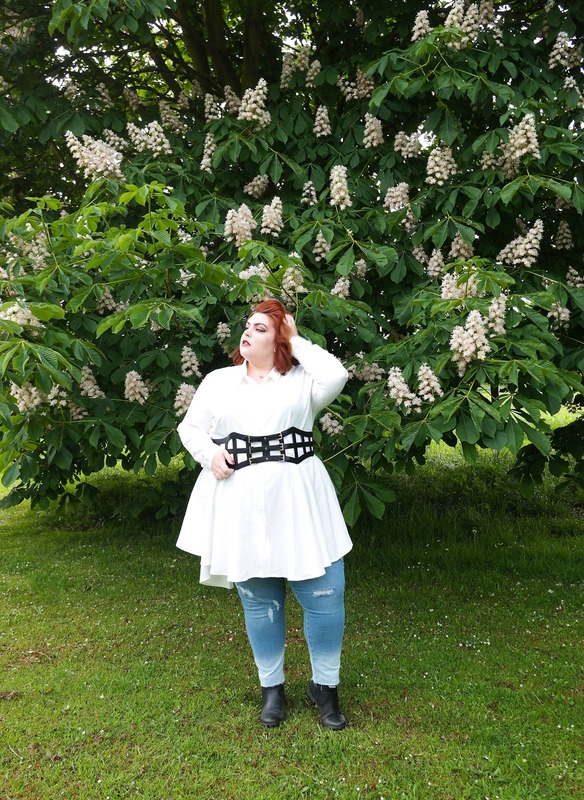 I actually didn't wear jeans for literally years because I could never find any that would hug my waist but also fit my bum and thigh chub, which is why I was so thrilled when plus size brands started upping their denim game. If I'm on the hunt for a new pair of jeans but want something a bit more special than your average plain skinnies, crops or boyfriend styles I always head straight to Simply Be. They really do have an impressive jeans collection these days in so many styles like the ones I'm wearing above with ombre bleaching and raw cuffs to the ankles and some nice decorative distressing over the legs. Thanks to my lovely friend Holly I'm really loving wide leg jeans at the moment and luckily Simply Be have a great range right now that you can see here - now I just need to decide which to try first! *This is a sponsored post. For more information head to my disclaimer page.